The UAE is a small country located in the eastern part of the Arab world, on a mostly desert stretch of land surrounded by the Persian Gulf and the Arabian Sea. The country shares borders with Oman and Saudi Arabia. It enjoys a unique strategic location, bordering the Gulf of Oman and overlooking the southern approach to the Strait of Hormuz, a vital transit point for world oil. The land borders of the UAE total 867 kilometres, 410 with Oman and 457 with Saudi Arabia. Its coastline is 1,318 kilometres long. Its maritime claims include 12 nautical miles (nm) territorial sea; 24 nm contiguous zone; 200 nm exclusive economic zone; and a continental shelf that extends out 200 nm, or to the continental margin. As in other countries of the Middle East, the UAE borders were not always clearly demarcated. Part of the border with Saudi Arabia caused a running dispute between the two countries. The Jeddah Treaty of 1974, the ‘Agreement on the Delimitation of Boundaries’, has failed to bring an end to this problem. 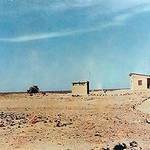 The treaty gave Saudi Arabia a corridor to the Gulf and the UAE six villages (including al-Ain) and a desert area in the south. Saudi Arabia dropped its claim to the Buraimi oasis region, while the UAE relinquished a 25 kilometre-long strip of land linking it to Qatar and gave up some 80 percent of the resources of the Shayba oilfield in south-eastern Saudi Arabia. Saudi Arabia ratified the treaty in 1993, but the UAE has yet to follow suit. The 30-year dispute was reignited in 2006, with Saudi objections to a natural-gas pipeline from Qatar to the UAE – on the grounds that it crossed into Saudi territorial waters – and to maps published by the UAE that depict the country’s border extending west all the way to Qatar. The dispute escalated with a naval clash between the two sides in March 2010, and earlier in the summer of 2009, when Saudis restricted the movement of trucks and barred UAE citizens from entering Saudi Arabia using a new UAE ID card that showed the UAE’s border extending to Qatar. The border with Oman also remains officially unsettled, but the two governments agreed to delineate the border in May 1999. 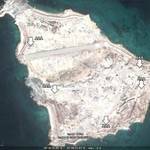 Since that time, the UAE has constructed a fence along the entire length of its borders with Oman and Saudi Arabia. 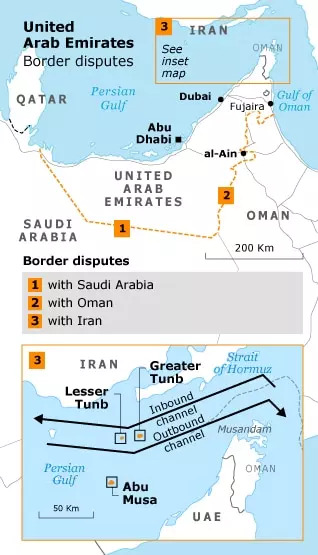 The UAE also has a festering dispute with Iran over three islands in the Persian Gulf – Abu Musa and Greater and Lesser Tunb. 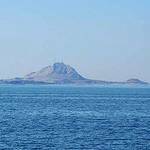 The strategically located islands have been under contested Iranian sovereignty since 1971, when Iran took control of them militarily. The UAE’s offers of negotiations or international arbitration to resolve the issue have been rejected consistently by Iran. In 1994 the UAE attempted to take the dispute before the International Court of Justice in The Hague for arbitration, but Iran refused. The UAE has a friendship treaty with Great Britain, signed in 1971. Fearing Iran’s rising power in the Gulf, the UAE signed a defence treaty with the United States in 1995. Other defence and military cooperation treaties were signed with Italy and France in 2009 and Great Britain in 2010. According to the CIA’s World Factbook, the UAE has a total surface area of 83,600 square kilometres, comparable to that of Austria or Azerbaijan. The UAE can be divided into three geographical zones: a flat, low-lying, barren coastal plain; rolling sand dunes that stretch from the coast into the expanse of a vast desert wasteland that blends into the Empty Quarter (al-Rub al-Khali), the world’s largest sand desert; and a rugged mountain range, shared with Oman, in the north and east. While parts of these mountains are bare, other parts, such as the Jabal al-Akhdar, have vegetation. The UAE’s highest point is the top of Jabal Yibir, at 1,527 metres. The UAE lies within the northern desert belt of the Arabian Peninsula known for its scare and unpredictable rainfall, high temperatures and humidities, and prolonged periods of sunshine (about eight hours per day in winter and 11 hours in summer). The UAE has a harsh desert climate, generally hot and humid in the summer but cooler in the mountainous regions, such as the Hajar al-Gharbi Mountains. July and August are the hottest months, when average maximum temperatures can exceed 48 °C on the coastal plain. During the late summer months, a humid south-east wind called sharqi (‘easterly’) makes the summers too humid for comfort, but there is usually a slight drop in temperature in the evening. In January and February the average minimum temperature ranges between 10 °C and 14 °C. From December to March, it is mostly warm and sunny. Winter typically brings very little or no rain, except for occasional showers and downpours that can cause flash floods in wadi beds. 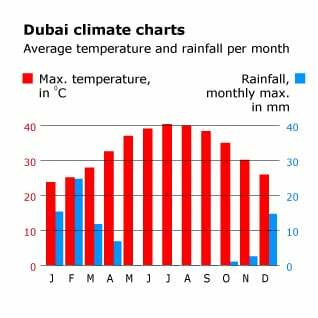 The average annual rainfall in the UAE is 100 millimetres, though this varies from year to year and between regions. Like the broader region, the UAE is prone to occasional violent sand and dust storms. These are caused by strong northerly and north-westerly winds known as shamal (‘north wind’). Shamals can be very hazardous and disruptive, affecting health and reducing visibility. The main cities of the UAE are favoured with creeks (khors), which are deep saltwater inlets that run from sea into the city. 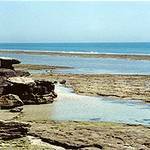 The creeks of UAE coastal cities served as the basis for the fishing and pearling industries that defined the local economy until modern times. The most famous of these is Dubai Creek (Khor Dubai‎), which, in ancient times, extended all the way to the city of al-Ain and was called by the Greeks the River Zara. The creek divides the city into its two older sections: Deira and Bur Dubai (the place where a branch of the Bani Yas tribe, migrating from Abu Dhabi, settled in 1833, to become later the Al Maktoum dynasty, the ruling family of Dubai). 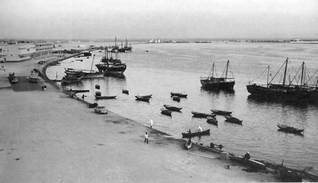 Dredging in the 1950s was critical to the emergence of Dubai as a major modern port and trade centre (Sharja’s creek silted up at about the same time and became a backwater). The creek served as an waterway and sheltered port for trade, fishing, pearling, and piracy, helping Dubai to grow into a major shipping and commercial centre. The distinctive local sailboats, known as dhows, crisscrossed the waters of the Persian Gulf, Arabian Sea, and Indian Ocean all the way to India and the East African coast, carrying goods and merchandise back and forth. After the collapse of pearling and with the increased strategic importance of the country, the creek was transformed into a modern waterway. This was inaugurated in 1955 by construction and dredging projects to widen and deepen the creek to accommodate larger sea-going vessels and to build breakwaters and docks to facilitate the loading and unloading of ships. Several bridges over the creek now connect the two parts of Dubai, the first of which, Al Maktoum Bridge, was built in 1963. The creek continues to play an important economic role through trade and tourism, while most shipping activities now take place at much larger ports, such as Port Rashid and Jebel Ali Port. 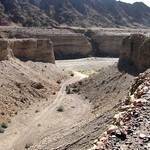 The UAE has four main ecosystems: desert, maritime, freshwater, and montane. The desert habitat falls within the arid tropical zone and supports varying amounts of sparse seasonal vegetation, with less of it in the south, which encompasses the north-western tip of the Empty Quarter, the world’s largest sand desert. The desert environment is undergoing significant changes due to the country’s massive forestation projects and the spread of desert farms. The maritime habitats are part of the Gulf and Arabian Sea zones, both of which have important ecosystems, including islands, coral reefs, sea grasses, intertidal areas, salt marshes, khors (tidal inlets) and mangroves. Permanent freshwater sources are scarce and are found mostly in the gorges of wadis (valleys) in the mountains and in sabkhas (salt flats) and artificial lakes, which form wetland ecosystems. 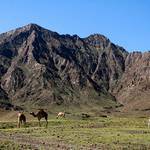 The Hajar Mountains, located in the eastern UAE, act as rain catchers. The precipitation replenishes groundwater and feeds freshwater habitats of pools, wadis, and springs, where wildlife such as dragonflies, toads, and fish can be found. 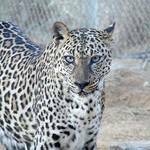 The mountains themselves attract endangered wildlife such as the Arabian leopard and the Arabian tahr (an ungulate related to goats). 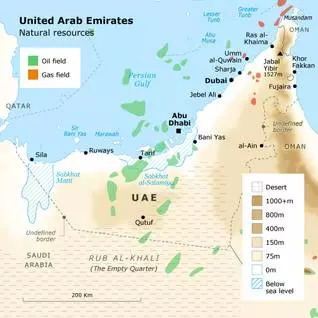 The UAE’s primary natural resources are petroleum and natural gas. More than 90 percent of these resources are found in the emirate of Abu Dhabi. Natural freshwater is extremely limited and has been critically overexploited. Underwater aquifers fell by 10 metres between 1977 and 1984, resulting in increased salinity levels and the intrusion of seawater into groundwater. The country gets most of its water from desalination plants (thus seawater may be counted as a natural resource). Increasing amounts of solar energy are being generated, as in the new, environmentally friendly city of Masdar, which is still under construction in Abu Dhabi. In addition to petroleum, the UAE extracts rock and sand, mostly for use in construction. Limestone, sand, marl, and gypsum are used to make cement, and there is small-scale mining of chromite in Fujaira. Given the desert climate of the country, the arable land in the UAE is estimated at 0.8 percent, of which 27 percent is irrigated. 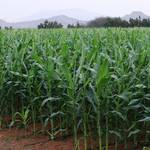 The area used for permanent crops is 2.4 percent, most of it artificially irrigated (Worldbank data). 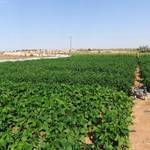 The UAE has been working to develop its agricultural potential, with research in new irrigation and fertilization technologies. Approximately 16 percent of the UAE’s people (in 2010) live rural and semi-nomadic lives and support themselves through various agricultural activities. Despite the high aridity, the country has developed a thriving agriculture, leading to year-round self-sufficiency in some vegetable crops. There are also growing meat and dairy industries, with many camels and cattle. The UAE has 42 million date palm trees, the largest concentration of palm trees in the world. The UAE has several oases in the desert south-west and south-east of Abu Dhabi, which offer adequate sources of underground water for human settlement and limited agriculture. 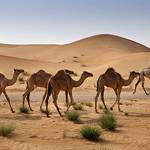 The largest of these is the Liwa Oasis, located at the edge of the Empty Quarter, near the border with Saudi Arabia. 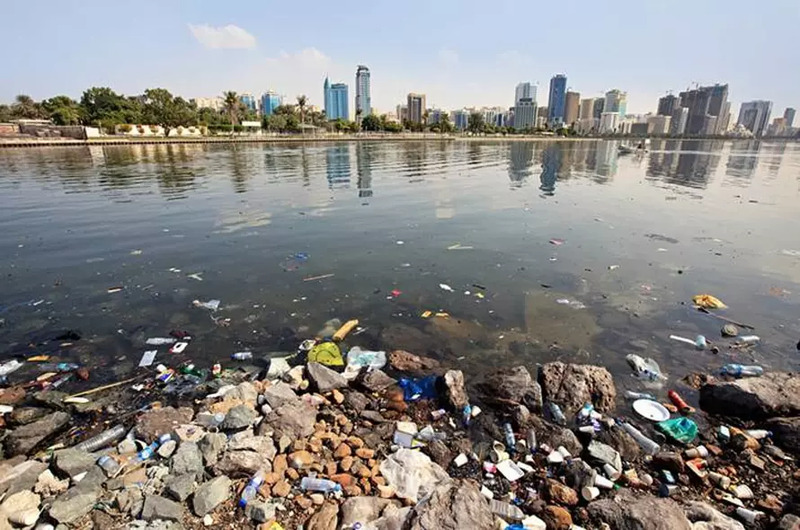 There are several major environmental issues facing the UAE: first, the lack of natural freshwater, compensated for by water desalination (and the treatment of sewage water for use in irrigation). Second, desertification, which the country has been trying to counter through major afforestation and greening projects. Third, marine and coastal pollution from oil spills, sewage, and other human activity. Fourth, air and soil pollution resulting from the growth of the country’s population (and its wasteful habits), urbanization, infrastructure and transportation, and industry. Fifth, the encroachment of built-up areas and human activity on the fragile ecosystems of marine and desert environments. The many artificial islands and their commercial developments, as well as desert tourism and recreation using motorized vehicles, are of major concern to environmentalists. The UAE is party to several international environmental agreements, including the Kyoto Protocol, the United Nations Convention to Combat Desertification, the Convention on International Trade in Endangered Species of Wild Fauna and Flora, and the Convention on the Prevention of Marine Pollution by Dumping of Wastes and Other Matter. 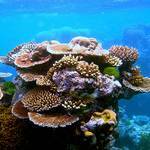 It has signed but not ratified the United Nations Convention on Law of the Sea. Environmental governance in the UAE began in 1975, when the Ministry of Health set up the Higher Environmental Committee, later replaced by the Federal Environmental Agency (FEA) in 1993, and by the Ministry of Environment and Water in 2009; this was followed by the establishment of the Environmental Research and Wildlife Development Agency (ERWDA) in 1997, renamed the Environment Agency – Abu Dhabi (EAD) in 2005; it describes its mission as ‘protecting and managing biodiversity, providing a clean environment and promoting Sustainable Development in the Emirate of Abu Dhabi’ (EAD, 2009). Other governmental agencies include the Dubai Coastal Zone Monitoring Programme and the Environment and Protected Areas Authority – Sharja. There are also some nongovernmental and voluntary environmental organization, such as the Emirates Environmental Group (EEG). Except for Abu Dhabi, the emirates have all but run out of oil. Three emirates, Ajman, Fujaira, and Umm al-Quwain, have yet to discover any oil. Dubai’s oil revenues have dropped significantly, and the emirate is rapidly diversifying its economy to replace the dwindling oil sector. 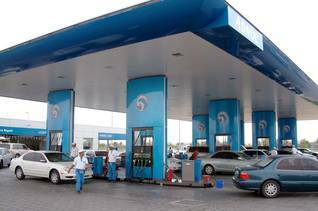 In 2000, it was believed that Dubai’s oil reserves would be exhausted in 20 years, but in 2007, Dubai Petroleum Company was still ranked as the 29th largest company in the world. Before the discovery of oil in the 1960s, the UAE’s economy was traditional, relying mostly on trade, fishing, and a declining pearling industry. With the formation of the UAE, the late Sheikh Zayed, ruler of Abu Dhabi and first President of the union, used oil revenues to develop Abu Dhabi and other emirates, with large investments in education, health care, national institutions, and the country’s infrastructure. The oil industry and the economic growth it powered attracted expatriates and foreign workers who eventually became a majority, making up about 80 percent of the UAE population. Abu Dhabi produces most of the country’s oil, contains nearly one-tenth of the world’s proven oil reserves, and contributes more than half of the national budget. Efforts have been made to lessen the country’s dependence on oil and shift to a more diversified economy, but, according to 2009 figures, more than 85 percent of the UAE’s economy depended on exported oil and gas. 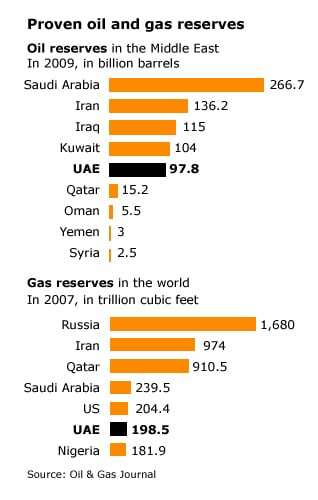 Oil production was 2.8 million barrels per day in 2009, making the UAE the world’s 8th highest-producing country. 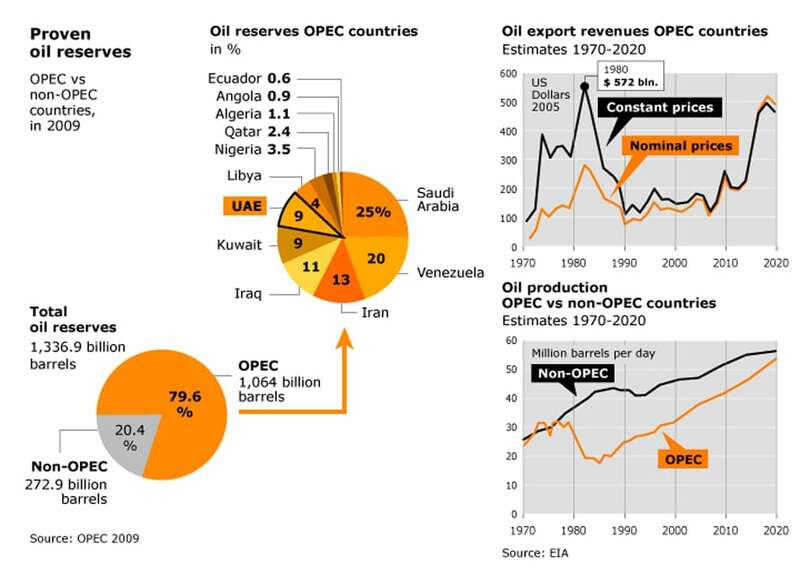 Its oil exports were estimated in 2007 at 2.7 million barrels per day (the third largest in the world), and its oil proven reserves were estimated in 2010 to total 97.8 billion barrels. 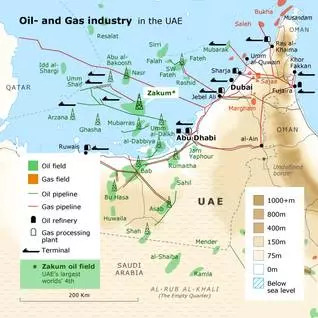 The UAE is also a major natural-gas producer, with production reaching 50.3 billion cubic metres (2008 est. ), making it the 18th largest in the world. Exports of natural gas were estimated in 2008 to be 7.6 billion cubic metres (ranking 24th), and proven reserves as of January 2010 were 6.1 trillion cubic metres (ranking seventh). Despite its contributing almost one-third of the UAE GDP, the oil sector employs a small percentage of the country’s workforce. Hundreds of companies are involved in the UAE’s oil and natural-gas industry, in all its different stages and related fields and operations. The first oil exploration and drilling contract, a 75-year concession for all onshore rights in Abu Dhabi, was granted to the Petroleum Development Company (Trucial States), a subsidiary of the Iraq Petroleum Company, a joint venture of several oil giants, including BP, Shell, Total, and ExxonMobil. Among the largest of these is the state-owned Abu Dhabi National Oil Company (ADNOC), which in 2005 produced 2.4 million barrels per day and is the sixth largest oil and gas company in the world. ADNOC has 14 subsidiary companies and operates onshore and offshore oil fields. The Supreme Petroleum Council, which oversees all oil and gas operations and companies in Abu Dhabi, also doubles as the Board of Directors for ADNOC. 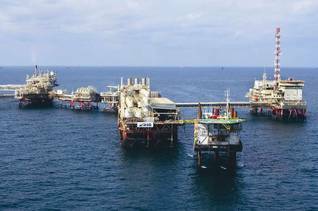 A subsidiary of ADNOC, the Abu Dhabi Marine Operating Company (ADMA-OPCO), partially owned by British, French, and Japanese interests, has the largest offshore petroleum concessions. Among foreign companies, one of the oldest and largest is the Abu Dhabi Oil Company (ADOC), consisting originally of three separate Japanese companies that were granted a concession by the ruler of Abu Dhabi in 1967. 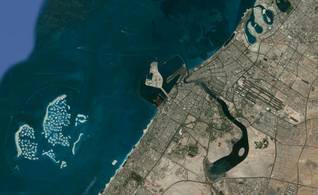 Much of the economic production of the UAE is centred in the oil-rich Emirate of Abu Dhabi. Oil, the main export product and the main source of wealth, is concentrated in Abu Dhabi, as are the main industries associated with oil, including refining, petrochemicals, and fertilizers. Other major industrial projects, such as aluminium, power plants, water desalination, and food production, are also concentrated in the industrial zones of Dubai and Abu Dhabi. The largest power plants are located in Jebel Ali, in Dubai, and al-Taweela, in Abu Dhabi. The country signed a deal in 2009 to build a nuclear power plant in Abu Dhabi, with four reactors having a capacity of 5600 MW upon completion, at a cost of USD 40 billion. The contracts to build the reactors, worth more than USD 20 billion, were awarded to the South Korean and Japanese consortium KEPCO. The same consortium was chosen in 2011 to build a thermal power plant in Abu Dhabi, at a cost of USD 1.4 billion. The research and planning for the nuclear plant were done under the supervision of a special body mandated for this purpose, Emirates Nuclear Energy Corporation (ENEC), and the government’s Federal Authority for Nuclear Regulation. In preparation, the UAE consulted with the IAEA and nuclear powers and concluded a nuclear-cooperation agreement with the United States in November 2009. 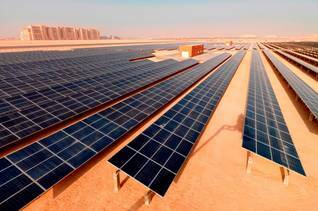 The UAE is planning to build the largest solar power plant in the world, with a capacity of approximately 100 MW, in Madinat Zayed (in Abu Dhabi) in 2012. Plans for another huge solar-power farm, described as the region’s largest, were announced in 2009 by the Dubai government.